SARATOGA SPRINGS, New York (WABC) -- A father from New York wrote the ultimate excuse note for his daughter's tardiness after attending a late night Bruce Springsteen concert. 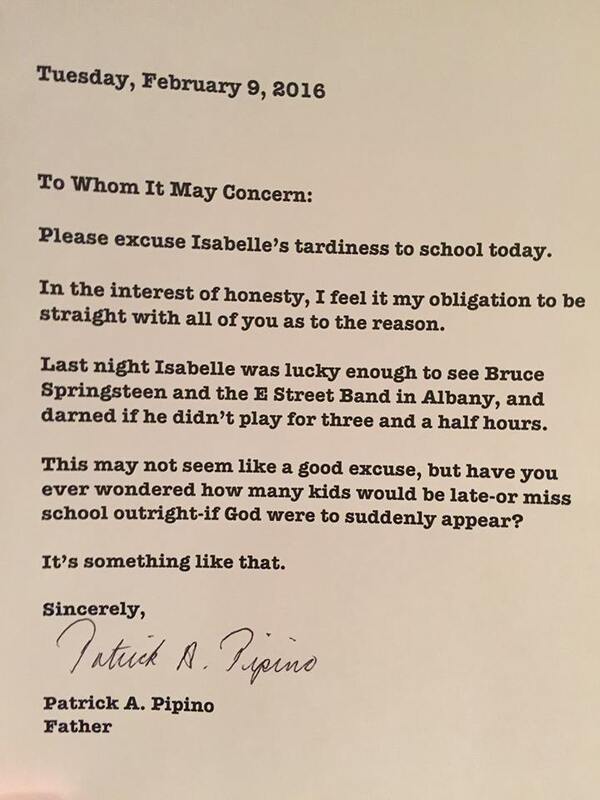 Patrick Pipino, of Saratoga Springs, wrote an honest letter to his daughter Isabelle's school Tuesday morning, explaining exactly why she wasn't on time for school. 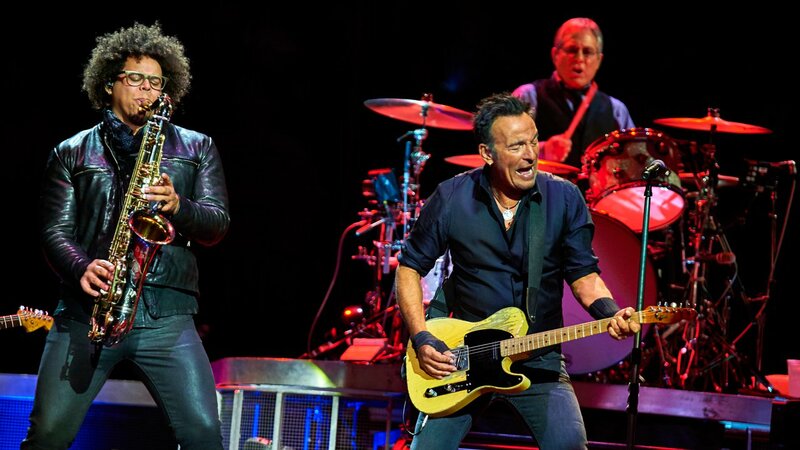 "Last night Isabelle was lucky enough to see Bruce Springsteen and the E Street Band in Albany, and darned if he didn't play for three and a half hours," Pipino wrote. Pipino told ABC News that his two daughters, Isabelle, 12, and Sarah, 7, are both huge Springsteen fans. The whole family attended the concert Monday night in Albany. "They both love Bruce Springsteen, and have ever since the older one was only 4 years old," Pipino told ABC News. "Isabelle would be singing from the back seat and if I had something else on, she would say, 'Dad, can we listen to Springsteen?' Sometimes she would even say, 'Can we listen to old Springsteen?'" Pipino said he didn't expect the note to go viral, and he didn't run the idea past his wife first. "My wife is a schoolteacher in the district." Pipino told ABC News, expressing concern that he would get in a bit of trouble with his wife for his antics. "She was mortified by not knowing what her betrothed did." There's no word yet if the school accepted Pipino's excuse.